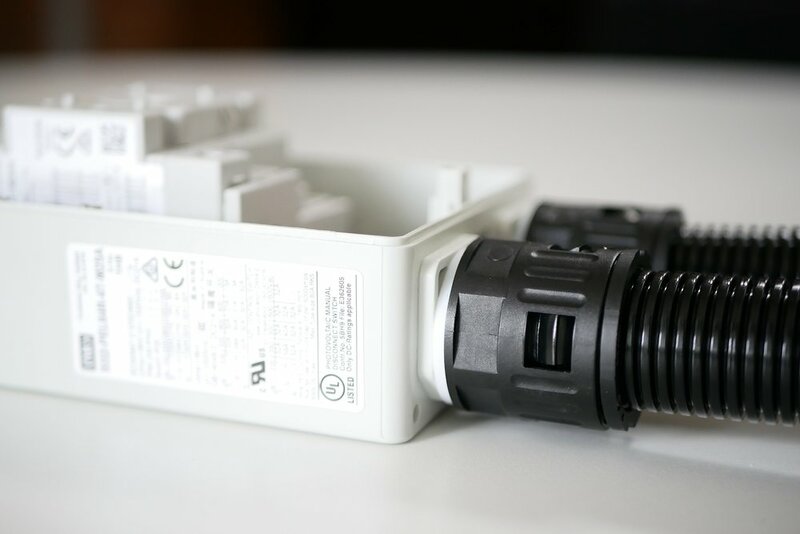 There is no glue or silicone used to seal our switches. Every component is engineered to provide a complete solution. The requirement for a roof-top dc isolator is unique to Australia. While useful as a means of safe isolation on the roof, this one component has probably been the biggest cause of failures and fires in solar in Australia. iEnergytech has conducted years of research to develop a product that is safe and easy to install. Every single aspect has been carefully considered and we can proudly say that the switches we supply to our projects exceed the Australian standards. Why? Because we just had to. Meeting the standards was not enough for a component so prone to failure. So we engineered elements which go beyond the requirements of AS5033 and AS3000. Furthermore, every unit assembled in our workshop goes through a full check list; before it is again checked by an inspector; given a serial number and tracked thereon. Since the development of our current methodology we have had zero failures.